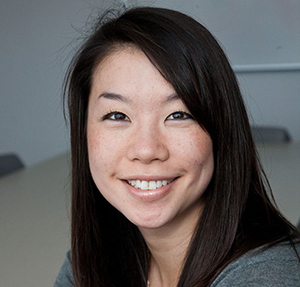 A. Janet Tomiyama is an associate professor of psychology at UCLA. Traci Mann is a professor of psychology at the University of Minnesota. This column appeared on the Conversation. 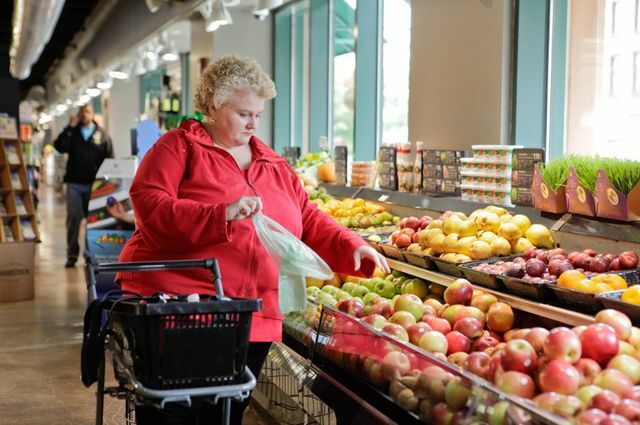 A woman shopping in the produce department of a grocery store. People who are overweight often must learn to like healthy foods. The scientific evidence is clear as can be that cutting calories simply doesn’t lead to long-term weight loss or health gains. We suspect most dieters have realized this by now too. And yet, here they are again, setting the same weight loss goal this year that they set last year. The only people who don’t seem to appreciate this are people who have never dieted. It’s particularly hard for them to believe because it doesn’t square with their own eating experiences. Take Nicky, for instance. She eats sensibly much of the time, with some junk food here and there, but it doesn’t really seem to affect her weight. She’s not a dieter. She is Naturally Thin Nicky, and it’s not surprising that she believes what she sees with her own eyes and feels in her own body. Nevertheless, Nicky has it wrong. We are researchers who have been studying why diets fail for a long time. We have seen that diet failure is the norm. We have also studied the stigma that heavy people face, and witnessed the blame game that happens when dieters can’t keep the weight off. From a scientific perspective, we understand that dieting sets up an unfair fight. But many Nickys we’ve encountered — on the street, in the audience when we give talks, and even fellow scientists — get confused when we say dieting doesn’t work, because it doesn’t square with their own observations. Nicky thinks she’s thin because of the way she eats, but actually, genetics play a huge role in making her thin. Nicky gets all the credit though, because people see the way she eats and they can’t see her genes. Many heavy people wouldn’t be lean like Nicky even if they ate the same foods in the same quantities. Their bodies are able to run on fewer calories than Nicky’s, which sounds like a good thing (and would be great if you found yourself in a famine). However, it actually means that after eating the same foods and using that energy to run the systems of their body, they have more calories left over to store as fat than Nicky does. So to actually lose weight, they have to eat less food than Nicky. And then, once they’ve been dieting a while, their metabolism changes so that they need to eat even less than that to keep losing weight. It’s not just Nicky’s genetically given metabolism that makes her think dieting must work. Nicky, as a non-dieter, finds it really easy to ignore that bowl of Hershey’s Kisses on her co-worker’s desk. But for dieters, it’s like those Kisses are jumping up and down saying “Eat me!” Dieting causes neurological changes that make you more likely to notice food than before dieting, and once you notice it, these changes make it hard to stop thinking about it. Nicky might forget those chocolates are there, but dieters won’t. In fact, dieters like them even more than before. This is because other diet-induced neurological changes make food not only taste better, but also cause food to give a bigger rush of the reward hormone dopamine. That’s the same hormone that is released when addicts use their drug of choice. Nicky doesn’t get that kind of rush from food. And besides, Nicky is full from lunch. Here again, dieters face an uphill battle because dieting has also changed their hormones. Their levels of the so-called satiety hormone leptin go down, which means that now it takes even more food than before to make them feel full. They felt hungry on their diets all along, but now feel even hungrier than before. Even Nicky’s regular non-diet lunch wouldn’t make dieters full at this point. People see Nicky and are impressed with her great self-control, or willpower. But should it really be considered self-control to avoid eating a food when you aren’t hungry? Is it self-control when you avoid eating a food because you don’t notice it, like it or receive a rush of reward from it? Anyone could resist the food under those circumstances. And even though Nicky doesn’t really need willpower in this situation, if she did need it, it would function quite well because she’s not dieting. On top of everything else, dieting disrupts cognition, especially executive function, which is the process that helps with self-control. So dieters have less willpower right when they need more willpower. And non-dieters have plenty, even though they don’t need any. And of course, even if Nicky were to eat those tempting foods, her metabolism would burn up more of those calories than a dieter’s metabolism. So Nicky is mistakenly being given credit for succeeding at a job that is not only easy for her, but easier than the job dieters face. The cruel irony is that after someone has been dieting for some time, changes happen that make it hard to succeed at dieting in the long run. It is physically possible, and a small minority of dieters do manage to keep weight off for several years. But not without a demoralizing and all-encompassing battle with their physiology the entire time. It’s easy to see why dieters usually regain the weight they lose on their New Year’s resolution diet, and we have the following suggestions for when that happens: If you are a Nicky, remember the self-denial these dieters have subjected themselves to and how little they were eating while you treated yourself to decadent desserts. Be impressed with their efforts, and grateful that you don’t have to attempt it. If you are a dieter, remind yourself that you aren’t weak, but that you were in an unfair fight that very few win. Change your focus to improving your health with exercise (which doesn’t require weight loss), and resolve to choose a different New Year’s resolution next year.